Rethinking the American Prison Movement provides a short, accessible overview of the transformational and ongoing struggles against America’s prison system. Dan Berger and Toussaint Losier show that prisoners have used strikes, lawsuits, uprisings, writings, and diverse coalitions with free-world allies to challenge prison conditions and other kinds of inequality. 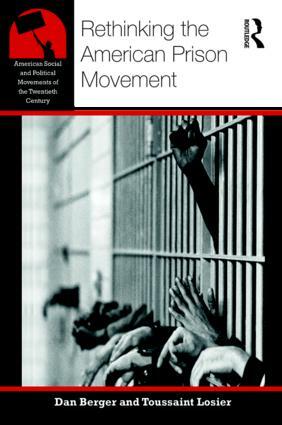 From the forced labor camps of the nineteenth century to the rebellious protests of the 1960s and 1970s to the rise of mass incarceration and its discontents, Rethinking the American Prison Movement is invaluable to anyone interested in the history of American prisons and the struggles for justice still echoing in the present day.